Click on the blue text if you wish to print the Newsletter. Tonight is judging night for the set subject “Reflections”. The judge will be Leigh Teitz from the Shepparton Camera Club. Entries for the next AV are also due, the subject being “Railways” and can be up to 5 minutes long. The judge for the AV competition will be Julie Bird. Bendigo will be host to the 2018 HD and HR Holden Nationals which will see more than 100 historic Holdens on display on Saturday in St Andrews Avenue from 9:00am. Also the Central Victorian Chrysler Club will host the annual Mid State Mopars this weekend. The Show and Shine will be on Sunday commencing at 8:00am in the streets surrounding the Town Hall. 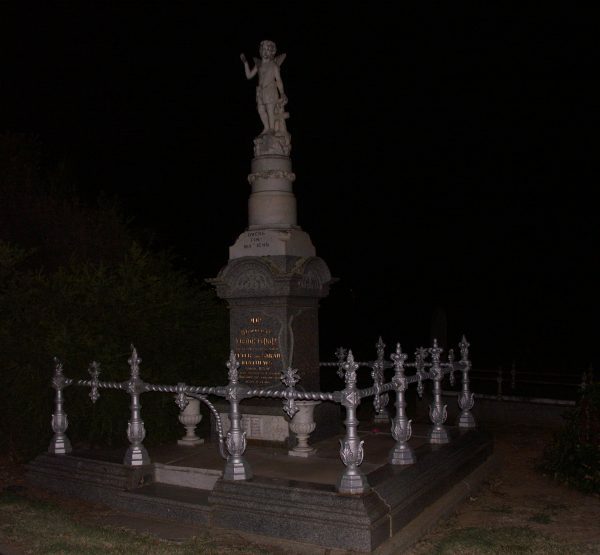 This evenings activity will be Night Photography in the Bendigo Cemetery. Please meet at the main Cemetery Gates in Carpenter Street at 7:30pm. Bring along your camera, tripod and a good torch as we will be “painting with light” and warm clothing. You them shine your torch on what you want included in your picture. Afterwards (at about 9:00pm) the club will pay for the cost of coffee. The venue is TBA. BRING YOUR PICTURES ALONG TO THE MEETING ON THE 10TH JULY. THEY WILL THEN BE SHOWN AFTER THE AV COMPETITION. As required all positions will be declared vacant, however most committee members are prepared to renominate. Your club will need a new Secretary (currently filled by Val Densworth) and a new Competition Steward (currently filled by Garry Paterson). As an Incorporated Club we have adopted the MODEL RULES which state that a new secretary must be appointed within 14 days if the position becomes vacant, which it will on the 17th of July being the AGM. So basically no Secretary no Club. Now is the time to start considering putting your hand up for a committee position, including the above two vacancies.